The Bible is full of people who didn’t get it right the first time. People who ended up broken & down on their luck. Those who betrayed, wounded & ridiculed one another. And God loves each one. In this age where society raises people up to high pedestals and assists in crashing them down when they fall, because we all know we fail at one point or another….it is important to remember one key factor. God isn’t surprised by any of it. He knows humanity inside and out. God has spent millions of hours & resources, even paying the cost for our sins, since Adam & Eve first went astray in the Garden of Eden. He knows what we are all capable of within. When we don’t follow Him, we become the enemy’s playtoy, part of his plan to destroy humanity from within. His Kingdom will come to pass here on earth. The enemy is being and will be forevermore defeated. & the second hand and broken vessels He chooses to equip & strengthen in battle. We all have the ability to live a Remade, new life. It begins with getting to know God. And there is no better place to start than His Word. Inside it, you will find phenomenal stories of His love in action, restoration & new beginnings, woven throughout humanity’s attempts to try to live without Him. If you are in need of direction, a helping hand, peace, or love, the God you will discover within the Bible’s cover will amaze you. You see, the Bible is the only hook where the Publisher poured Himself out in words through the second hand broken vessels He chose to use to tell His story. And He continues to speak through those who listen for His voice, and choose to give Him their all as they do. The message of the Bible is clear, no matter which translation you read it in. And will lovingly, patiently & carefully remake you into the one He has loved from the moment you came to be. And loves all the more when you decide to let Him take you beyond your sin & past. Second hand things still have value, despite their age or broken parts. When a Master Craftsman puts them back together, and places them exactly where they were meant to be, they find their true purpose. Yours is within the covers of this Book, and found in the embrace of the God who has described Himself within. Open the Bible, and let the Author not only highlight who He is to you, but how He sees you, both right now & forevermore. The Bible contains heaven’s Hope for all humanity, especially those who feel cast aside & broken. Love this! 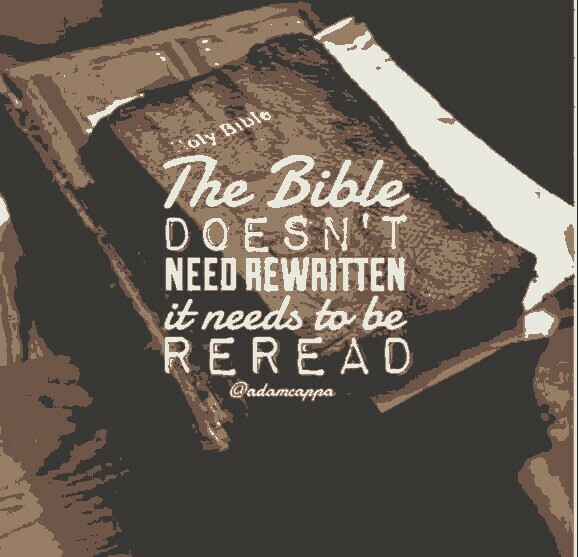 The Word of God is the only Truth we need. “… found in His embrace….” I love this visual. And it reminds me to seek Him out always! I hope your post today is inspiring anyone who needs reassurance on a grand scale to get in close to the Word and the Savior! Your #RaRa sister today… blessings and hugs!! !